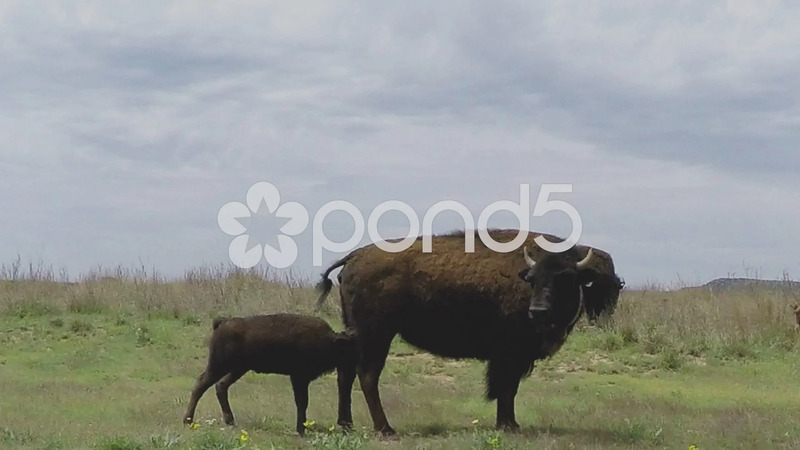 Description: Shot of a buffalo calf with a buffalo cow at Caprock Canyon State Park. A baby nuzzles it's mother who is wearing a big tracking collar around its neck. Part of a series of clips by ChromaVid featuring nature and wildlife stock video.